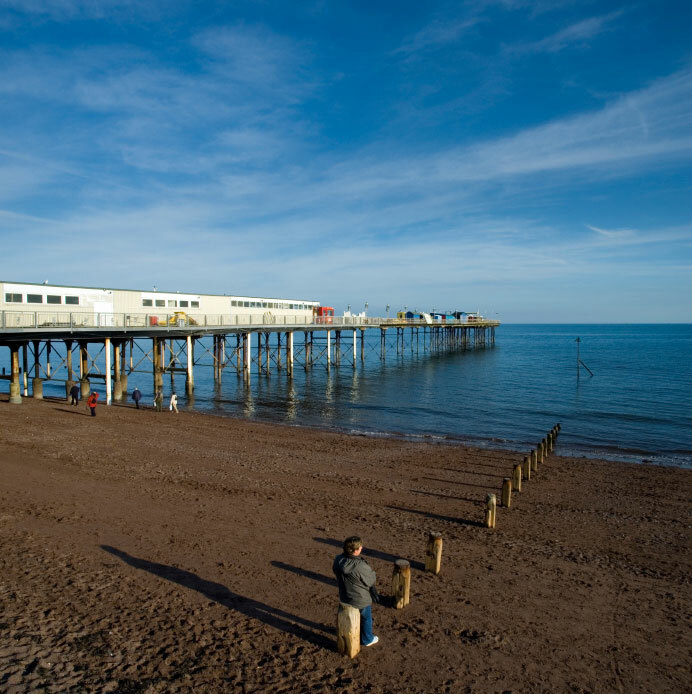 View of Teignmouth Pier on a sunny winter's day. The pier dates back to the Victorian heyday of the seaside pier and was completed in 1867. The pier was originally 250ft long but a fire in the 1950s destroyed the pavilion and a 75 feet section at the pier end.